Thank you for your interest in volunteering! Science Mentors are crucial to GeoGirls. The roles of GeoGirls Science Mentors are varied, but all volunteers become part of supportive, fun community of female (cis and trans gender) geoscientists and ecologists of all ages to facilitate an empowering, adventuresome experience for middle and high school GeoGirls. Volunteers are selected based on their availability, their desired involvement, and our program needs and resources. Some volunteers participate in the full length of the program; some volunteers join GeoGirls for a day or two. There are a lot of ways to be involved with GeoGirls! In 2019, the GeoGirls team will include a several "champion" roles. Champions are GeoGirls Science Mentors who take a leadership role in the planning process of GeoGirls. Champion roles include Research Project Leaders as in years' past, but include new roles pivotal to the planning process. Please see HERE for a list and descriptions of these roles. If you are interested in volunteering with GeoGirls and are interested in a Champion role, please thoughtfully review these roles and consider how you would intend to fulfill the responsibilities of the Champion role. You can learn more about past Research Projects HERE. In addition to Champion roles, we have created a sign-up list of all the boots-on-the-ground tasks that the team of Science Mentors will lead or assist with, including tasks such as loading/unloading vehicles, assisting with kitchen cleanup, leading Ape Cave tours, sharing your stories or other talents around the campfire, leading short activities/games, and more. This list will be available to Science Mentors as they are selected so that they can sign up for tasks/shifts. Not all Science Mentors will be Champions and the Science Mentor team as a whole will complete these tasks. How will we select GeoGirls Science Mentors? Champion roles will be assigned before other Science Mentors are selected. Once they are selected, Champions will have the opportunity to sign up for tasks/shifts for during GeoGirls. When all of the needs of the program are met, GeoGirls Science Mentor selections will be complete. How do I apply to be a GeoGirls Science Mentor? If you wish to become a volunteer, fill out a GeoGirls Science Mentor Application Form. We will accept GeoGirls Volunteer Interest Forms until April 21, 2019. 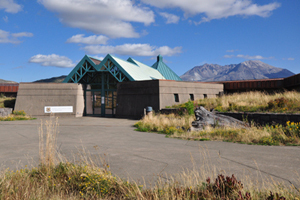 Complete the Mount St. Helens Institute Volunteer application form. Complete Mount St. Helens Institute Volunteer Waiver. Complete and pass a criminal background check, driving record included. Shortly after becoming an official volunteer, you will receive lots of information to help you prepare for GeoGirls! Please note that all GeoGirls volunteers will be expected to attend (either in person or via web/phone conferencing) the Staff and Volunteer Coordination Meeting, which will be the morning (PST) of Tuesday, June 25, 2019 at Cascades Volcano Observatory. DAY 1 Sunday, August 4, 2019 Check in at Mount St. Helens National Volcanic Monument Headquarters, Field trip stops to Ape Cave and other sites on the south side of Mount St. Helens. Drive to Windy Ridge camp in time for dinner. DAY 2 Monday, August 5, 2019 Field trip hikes and activities on the Pumice Plain and nearby area. DAY 3 Tuesday, August 6, 2019 Research Project day 1 at Windy Ridge side of mountain in 5 groups. Drive to Coldwater afternoon to evening, dinner in town on the way. On Day 3 and Day 4, GeoGirls will participate in Research Projects, which generally last ~4-5 hours (morning to early afternoon). Day 3 and Day 4 will each consist of 5 separate Research Projects. Each of the 5 GeoGirls van groups (5 Geogirls, 1 High School Mentor, and 1 Teacher Mentor) will conduct one of the Research Projects each day. GeoGirls participants will be assigned their Research Projects before GeoGirls begins. 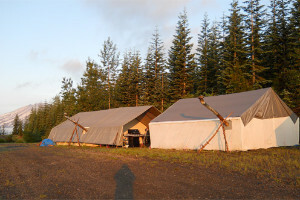 Lodging: Ridge Camp | Mount St. Helens Institute Ridge Camp is a rustic camp on the northeast side of the volcano near Cascade Peaks Information Station. Ridge Camp is equipped with canvas walled tents, wood stoves, excellent open-air cooking facilities, and a campfire pit. Lodging: Science and Learning Center | The Coldwater Science and Learning Center is a re-purposed visitor center. It includes a commercial kitchen and excellent views of the volcano. The Science and Learning Center is located 43 miles east of Castle Rock, WA. Bathrooms and running water are available in the building, but showers are not. If you have any questions about volunteering with GeoGirls, contact Sonja Melander, MSHI Science Education Manager, at smelander@mshinstitute.org.